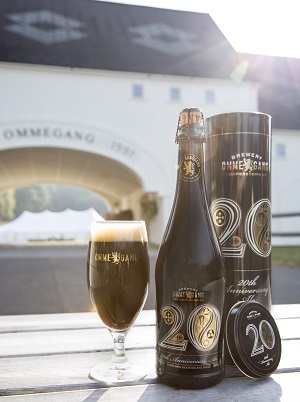 COOPERSTOWN, N.Y.—Brewery Ommegang is proud to release their 20th Anniversary Ale, a luxurious Belgian-style dark ale aged for more than five months in bourbon barrels. Brewery Ommegang was founded in 1997 on a 140-acre former hop farm with a simple goal in mind – brew beautiful, imaginative Belgian-style ales blended with a touch of American innovation. Twenty years later, that is still the brewery’s goal, and to celebrate two decades of inspired Belgian-style brewing, the brewery took a classic Belgian-style brew and gave it an American twist through aging in Bourbon whiskey barrels. Brewed with a careful blend of Munich, Special B, Cara-Vienne, and Blackprinz malts with additions of Belgian candi sugar, 20th Anniversary Ale enjoys balanced hopping with Spalter Select, and Styrian Golding hops. Following fermentation, this deep, rich, complex brew inspired by the great Trappist brewing tradition spends several months maturing in Buffalo Trace bourbon barrels. The result is an ale perfect for sharing, celebrating, and rejoicing. 20th Anniversary Ale pours a deep mahogany color with a thick tan head. Aromas of oak and bourbon upfront give way to subtler notes of toffee, caramel, and chocolate. The flavor is mildly sweet, with notes of caramel and molasses mingling with hints of bourbon and oak. A rich mouthfeel, and full body resolves to a sweet finish balanced nicely by a slight drying astringency. Dark roasted meats, rich creamy cheeses, Belgian chocolate are excellent pairing options, or enjoy the beer as a dessert all on its own. 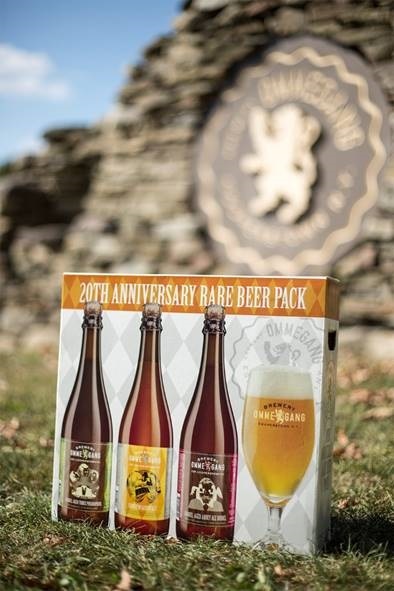 In addition to 20th Anniversary Ale, Ommegang has also released a 20th Anniversary Rare Beer Pack that includes three rare beers and an Ommegang glass. The beers, Bourbon Barrel-Aged Three Philosophers, Ginnepin Saison brewed with juniper berries, and Bourbon Barrel-Aged Abbey Ale, are all unique takes on Ommegang favorites. Both 20th Anniversary Ale and the 20th Anniversary Rare Beer Pack are available now in many Ommegang retailers in the United States. The Ommegang beer finder enables beer fans to search for retailers by zip code.